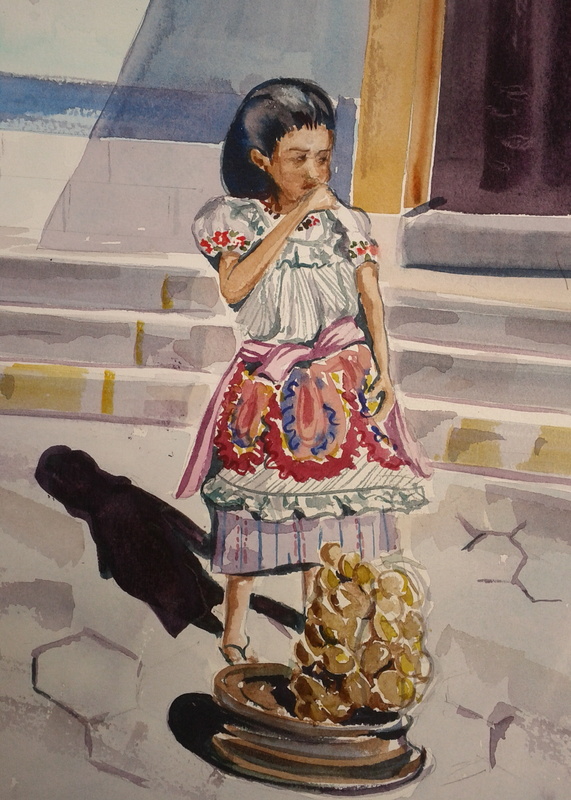 A little girl sells potatoes on an old car wheel outside of market in Antigua, Guatemala. Wes Ledyard. Last summer I wrote about a Guatemalan family that I had mentored before the father lost his job and they returned to their home in San Marcos (“A Cincinnati Immigrant, edition of Aug. 1, 2012). I’m afraid conditions worsened for them on their small farm; and earlier this year the father, José, took the chance once again of crossing the border with his wife, Maria, and 16-year-old daughter, Selena. Maria was expecting another child, which I suspect was a big part of the motivation to return. And what they didn’t know was that Selena was also pregnant. They left five children on the farm — two of them U.S. citizens who joined them a few months later. So now after the births of two healthy babies, thanks to the medical technology that they would not have had access to in their aldea (hamlet), the family is doing well. All the adults are employed (with creative documentation). They pay their taxes and social security (which they will never benefit from). They live modestly and the school-age children are enrolled in public school. As we watch the decline of unions and the labor movement in general, the undocumented worker is being particularly exploited. Selena has a cleaning job at night with a national discount department store. They probably subcontract this work out to a staffing service that is comfortable dealing with workers with dubious credentials. She works seven nights a week — midnight to 8 a.m., with a half-hour break, for $8.25 an hour. No overtime. No benefits. Her wages are deposited on a card that is to be cashed at the store. When her infant daughter was two weeks old, Selena was told to return to work or lose her job. The very saddest part of the whole thing is that she feels so fortunate to have this job — it is so much better than the life she left behind. Over the past weekend her baby became ill and spent three days in Children’s Hospital. Selena was still expected to be at work. There is always someone more than willing to take her place. I maintain that the immigrant community is a valuable, hard-working asset to society if only we would recognize it as such, welcome the diversity and treat them with fairness and respect.